Blogging about all things fabulous! Hey, guys! 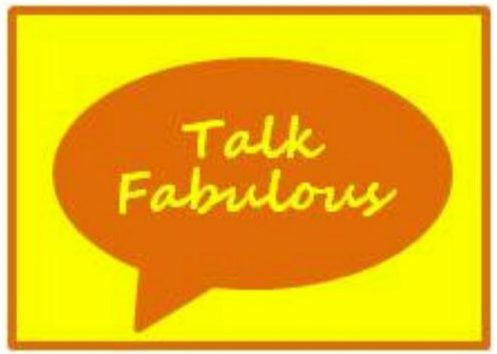 Welcome back to Talk Fabulous! We’re going to switch it up a bit for today’s installment of Fabulous Finds Friday. 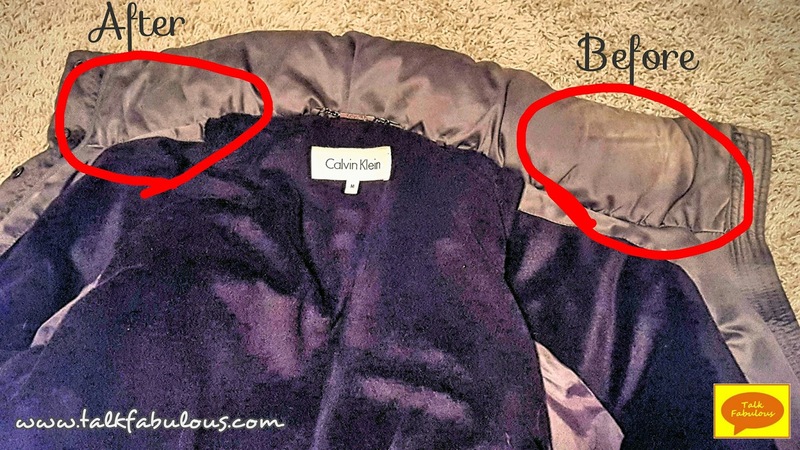 Instead of sharing a product I’ve been loving lately, I’m going to share a Pinterest hack. It’s finally getting cold outside, it even snowed the other day! This means it’s time to pull out the winter coat. I don’t know about you, but mine was a little dingy, especially around the collar. Oh, those makeup stains! I’ve always been leery of washing my coats, but somewhere I read that you can use makeup wipes to remove makeup stains from your coat. (For the life of me I can’t find the original source of this hack. I’m guessing it’s lost somewhere in the deepest depths of the interweb. My apologies to the creator, because this is brilliant.) That sounded easy and harmless enough, so I decided to try it out. The shell of my coat is 100% polyester and this worked great. You do need a little elbow grease, but as you can see from the before and after below it really does work. stains from your winter coat. How do you freshen up your winter coat? That’s all for today. See you guys in my next post! Hey, guys! MissyAnn from Talk Fabulous here. I’m so glad you’re here. Drop me a line and introduce yourself. I’d love to hear from you! Talk Fabulous is a lifestyle blog centered around fashion and beauty. All opinions expressed are my own and are not affiliated with any company, brand, or product. All information provided is true to the best of my knowledge, but omissions, mistakes, or errors may be present. Additionally, the information presented here is for informational purposes only and should not be mistaken as professional advice of any kind.